Home Why is packaging important? Packaging is an important component of product development. Whilst it is something that ultimately has to be disposed of, packaging not only ensures a product will remain in the condition the consumer expects it to be, it is often the first sign of the company’s branding. For online orders, a company’s packaging is the first impression a consumer gets of that company. With this in mind, it is no longer simply ensuring the packaging does the job, it is using it wisely to emphasise their branding. Companies are also now looking to move to more sustainable materials and are using ones that are 100% recyclable. 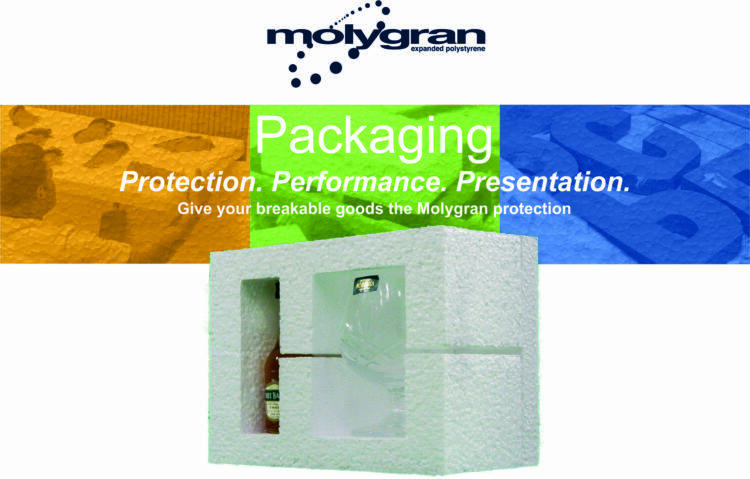 Whilst Molygran do not specialise in branded packaging, we understand that the importance and role of packaging has evolved over the years. Packaging is now also another mode of marketing, allowing brands to present themselves. It is now so much more than just storing, transporting and protecting a product. Yet, despite all this, there are still many large brands which appear to throw their packaging together, which can lead to a negative first impression and minimal support for the product. Any idea where these come from? See a slight glimpse of the iconic “robin egg blue” colour and you know immediately where those pieces of jewellery are coming from. Yes, they specialise in jewellery, but it is their branding and packaging which is recognised above all else. Coca Cola also used packaging for one of their most successful marketing campaigns during 2013 and 2014. Their “Share a Coke” involved them swapping the “Coke” wording for names allowing consumers to by a named Coca Cola bottle. You can take a look at their success here. Marketing and branding aside, packaging still has one fundamental purpose- to protect the product during transit. Whilst pretty packaging may spark people’s interest, if it doesn’t serve its main purpose, then it is redundant. Take time and care to ensure your packaging is up to standard can save hassle in the long term. When packaging fails it results in far greats losses to the company. Recovery of the damaged product; correction, repair or replacement and finally re-delivery. This doesn’t take into account the loss in customer satisfaction and reputation. When goods are breakable and fragile, protective packaging is a must. Polystyrene is ideal for protecting breakable products as it cushions the products and absorbs any impact shocks. Polystyrene can preserve even the most susceptible of products such as dry ice. The insulative properties of polystyrene enable temperature control within the packaging and can keep a stable temperature throughout the products transit. Packaging is often thrown together, a mixture of bubble wrap, brown paper and cardboard may be a cheap solution, but the result can be somewhat unappealing as well as less effective protection. Polystyrene packaging inserts keep the product neatly in their required position within any outer packaging and help frame the value of a product. Polystyrene packaging inserts are not only quick and easy to fit into any outer packaging such as cardboard boxes, the products also fit snuggly in which saves time on the wrapping of bubble wrap. Once the polystyrene has served its purpose it is also 100% recyclable meaning it can be reborn into new usable products. It can be seen that whilst there are now many roles that packaging undertakes, the main purpose remains the same- to ensure the product arrives in the expected condition. If your packaging is all singing and dancing, but cannot perform the main function it is required to do, it is effectively redundant. Packaging needs to support and protect during transit, this should be the main focus of packaging. If too much time and energy is spent on perfecting the branding on the packaging, but it cannot perform its main function, a consumer’s first impression of a damaged product in perfectly branded packaging will not be a positive one! !